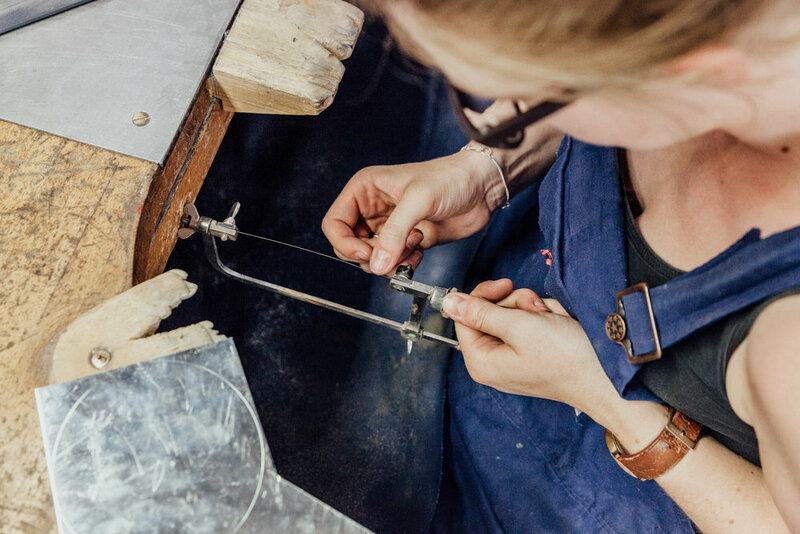 Working in both brass and sterling silver, you will be guided through the process of designing, cutting, forming, soldering and planishing to create your unique spoons. We will experiment, explore ideas and practice techniques using brass and then move on to make a final spoon in solid sterling silver. As a guide, we will be working in the teaspoon sized end of the spoon-spectrum. The workshop fee includes all materials, including sterling silver for your final spoon. Please note; this workshop is a little different to our past Spoon Making workshops, feel free to get in touch if you have any questions about it. Taught by experienced silversmith, Alison Jackson it is an intense but rewarding workshop. A range of forming and finishing techniques will be demonstrated and examples of Alison's work will be on hand for you to see. The class is restricted to a maximum of four people to allow for lots of one to one tuition. Students will need to have the steady use of both arms and be comfortable hammering for long periods. It's a great introduction into the age old process of silversmithing!